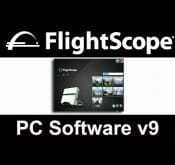 Posts under tag "PC Software"
FlightScope recently released a new version of PC software, version 9.0.2. Apart from its new user interface some great new features were added. To see the new software in action please visit our video section. Pressure mat integration With the integration of the BodiTrak system a whole new realm of golf swing analysis is possible….